Home/Healthcare/Metabolic Syndrome – All You Need To Know! Metabolic Syndrome – All You Need To Know! Metabolic Syndrome is a cluster of health disorders occurring all at once where conditions are interlinked to affect health badly. It includes increased blood pressure, high cholesterol levels, high blood sugar, and excess body fat around the waistline. All these factors account for an increased risk of heart disease or stroke. The most common cause of falling a victim to metabolic syndrome is obesity which gives rise to all problems associated with it. One condition at a time cannot be termed as metabolic syndrome although having more than one may cause you to be diagnosed with metabolic syndrome. Having at least three of the components tends to have serious impacts on health. 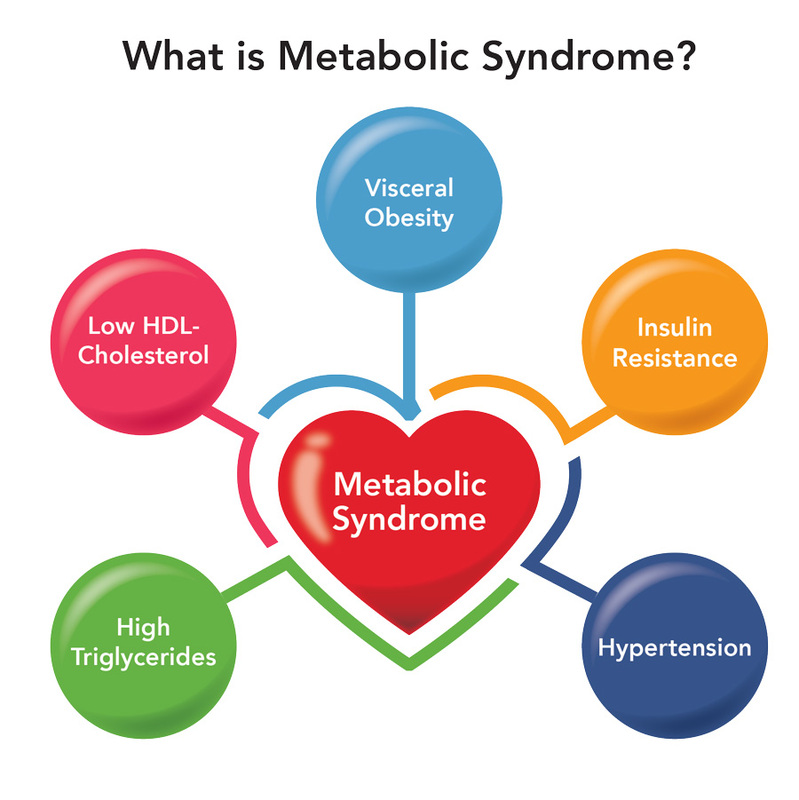 Although metabolic syndrome alone does not have specific symptoms to be distinguished as a term, the conditions accounting for it will show visible signs individually. High blood sugar levels are easy to diagnose through blood tests and this will be done if you are having problems with your vision and hormones. Also, diabetes has other symptoms like increased thirst, urination, and fatigue. Moreover, increased waist size will indicate that you may be having insulin resistance as a result of obesity or vice versa as genetics play a role too. A doctor will help you know if you need further testing to diagnose any of the conditions. The American Heart Association and National Heart, Lung, and Blood Institute have given guidelines for individuals who meet the criteria for metabolic syndrome. The following traits increase the risk of having the syndrome if you have at least three of them. Abdominal Obesity – Increased waistline indicates an issue with hormones or blood values. Following are the cut-off values for defining obesity for men and women. Triglycerides – Blood levels of 150 mg/dl or above are higher than normal. HDL cholesterol of 40mg/dl in men and 50mg/dl in women indicates a problem in this area as well. High Blood Pressure – 135/85 is the cut-off value for high blood pressure when the condition can no longer be controlled without medication. Fasting Blood Sugar – Higher than 100 mg/dl levels of fasting glucose in the blood will get closer to a diabetic condition. Is Metabolic Syndrome Common Nowadays? Metabolic Syndrome is more common than it is assumed to be these days mainly because of our unhealthy lifestyle factors. It is noted that around 32% of people around the world suffer from metabolic syndrome. Also, people with diabetes have a higher risk of this syndrome as they have obesity, blood pressure problems, and higher blood sugar levels all at once. The syndrome risk increases with age as the body is prone to more health issues as we get older. However, the condition can be managed and even reversed with effective remedies and changes in the lifestyle. Many medical conditions occur because of genetics as the genes bring part of the diseases no matter how much we try to avoid them. It is still possible to avoid the risk factors associated with many conditions either by taking treatments or by effective management techniques. Having a family history or Hypertension (high blood pressure), Diabetes, Heart disease, and even Thyroid increases the chances of developing them at any age. However, environmental factors along with lifestyle will decide how sooner or later those health issues will affect you. Weight gain, for instance, can progress the risk of developing metabolic syndrome sooner as it is the main underlying cause for it. About 60% of people with metabolic syndrome are the ones who are obese while the percentage decreases to 22% for overweight people and 9% for people with normal weight. So, there is a good chance to save yourself if you keep your weight within the normal range. Apart from obesity, there are factors that may also contribute to developing metabolic syndrome such as smoking, eating high carbohydrates diet, and sedentary lifestyle. Metabolic Syndrome, in general, has no specific symptoms as it is a combination of health disorders having their own symptoms. 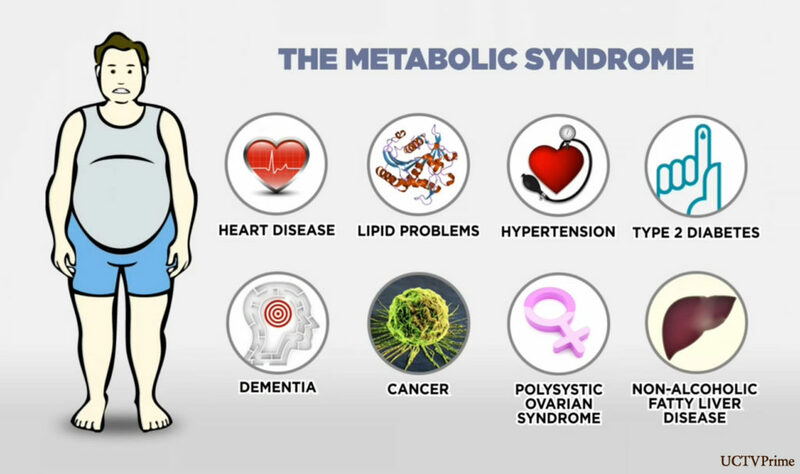 The risk factors of metabolic syndrome help a doctor evaluate your risk of developing the syndrome. Heart disease and Diabetes are the two main factors to put you in the danger line and so you should be aware of how it affects your health. Metabolic Syndrome can result in accumulating of fats on the liver and it can also affect kidney function. Malfunctioning of the organs will create many problems for you if you leave them untreated. Other problems resulting from it are polycystic ovaries, dementia, and declining cognitive function. How to Treat Metabolic Syndrome? The major concerns of metabolic syndrome are the underlying conditions like diabetes and heart problems. Therefore, it is important to prevent these conditions to affect the body adversely by following the right measures. Although diabetes and heart disease cannot be prevented if they are in genes, they can still be managed through effective treatments or remedies. Foremost, Obesity should be controlled as it becomes the most dominant factor for metabolic syndrome. Say goodbye to the sedentary lifestyle and get physically active to lose that stubborn fat around the waist. Fats that are deposited on the lower abdomen are the most dangerous as they cause malfunction of many organs. An exercise regime of at least 30 minutes a day for most days of the week can be of great help in case of preventing obesity and all other conditions related to it. Lifestyle modification is the key to leading a healthier life and prevents any health disorder in the first place. Quit smoking as it is injurious to health in every other way. Follow a balanced diet plan as you may adopt the latest trending Mediterranean diet which contains good fats, carbohydrates, and protein all in balance. Keep your blood levels in check every six months or once a year if you are prone to the risk. Cosmetic surgery is an option available for removal of fats in the abdominal area. Liposuction has been successful in many cases where it was not possible to lose weight by diet or exercise. Researchers have discovered CBD Oil as an effective remedy for people with metabolic syndrome as it is known for increasing the metabolic rate and breaking down fat. It magnifies the body’s power to lose more fats by stimulating proteins and gene function. As CBD Oil is known for its ailing properties for many other health disorders, it may help you manage weight effectively. Research says that CBD has an immune-modulating effect on the body which helps to manage the high blood sugar levels by reducing atherosclerosis progression effectively. A cannabinoid is also known to fight the most harmful complications arising as a result of metabolic syndrome like ischaemic diseases. CBD can be used as an adjuvant therapy as it will have fewer side effects. Can Metabolic Syndrome be Life Threatening? Most people are not aware of their condition until it gets worse. Although metabolic syndrome does not have any specific symptoms, other conditions will have their own. Diabetes or heart diseases are not conditions to be neglected as they may become life-threatening if not treated well. Taking care of the risk factors is essentially important for good health to avoid developing more of them to account for metabolic syndrome. The good news is that you can manage your condition or even reverse if you follow the right treatment at the right time.